Everyone puts a lot of pressure on themselves at the start of the New Year to turn their lives around: to eat better, exercise more or finally get around to that pressing home improvement project. But celebrating a fresh start and a new page on the calendar should also be fun! Laid-back resolutions help you set an easy-going, stress-free tone for the New Year. Variety is the ice of life! Old favorites will always be there for you, but you don't know what you're missing if you don't go out there and have new experiences. So in that spirit, give your Margaritaville® Frozen Concoction Maker® prime real estate in your kitchen or living room and commit to trying one new frozen concoction recipe each week this year. Perhaps you want to swap mezcal for your typical tequila, put a little pep in your step with coffee-infused concoctions or experiment with making frozen wine coolers. It's good to regularly get out of your comfort zone - and with Margaritaville® Frozen Concoction Makers®, you can do so with confidence. This year, make it a point to travel to an exotic destination you've always wanted to visit. Too many times, vacation dreams stay just that - dreams! 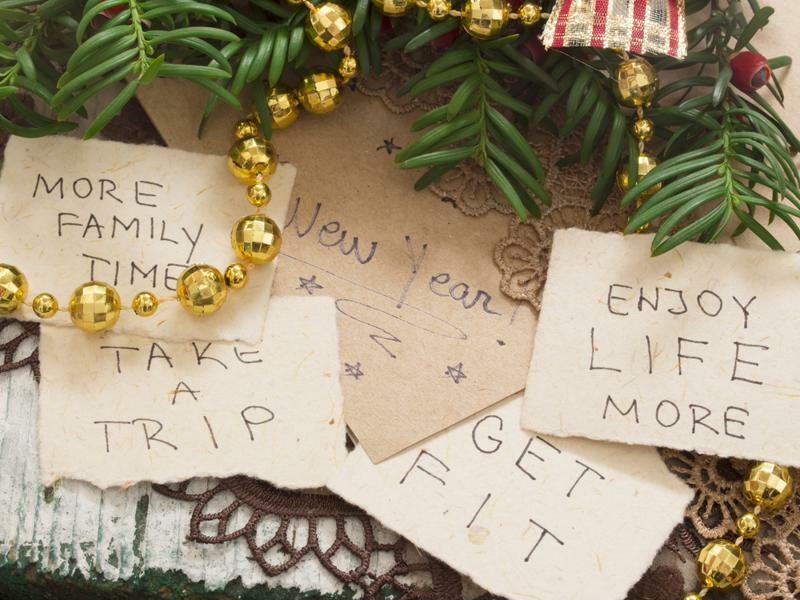 Make yours a reality by committing to planning a trip as soon as the New Year kicks off. Where is your heart longing to go? Bermuda? Martinique? St. Tropez? Tahiti? Wherever it is, start taking steps to get there. You can put together a colorful inspiration board for your getaway, with the top sights you want to visit, and check out hotels. Another fun way to prepare for your trip is to research the favorite food and drink in your country of choice and re-create them at home. Rum frozen concoctions for a trip to Jamaica? Margaritas for a jaunt to Mexico? Start enjoying them now with your Margaritaville® Frozen Concoction Maker® and get even more excited for your trip! New Year's resolutions can feel like a lot of pressure - make sure relaxation is at the top of your list! You don't need to wait for the holidays to come around to throw a party for your friends - so pledge this year to find more reasons to celebrate! You can have a viewing party for a favorite TV show or for the release of a new movie, hold a get-together to celebrate small milestones, throw theme and costume parties or have a bash just to beat the winter doldrums. Everyone loves an excuse to celebrate - and every party will be a memorable one with your best friends and your Margaritaville® Frozen Concoction Maker®. In today's world, it's always go go go, but it shouldn't be that way! A big part of self-improvement is recognizing it's important to make time for relaxation. Vow this year to slow down a little bit and take more time for yourself, your family and your friends. Spend time reading the paper or listening to your favorite music in the morning, resist the temptation to check work emails outside of the office and make one day or night a week just you time - take a bath while sipping your favorite frozen concoction, close the blinds for a nap or go for a nature walk. Or maybe, choose to do nothing at all - and not feel guilty about it! Time that you enjoy wasting is not wasted, so this year, pledge to prioritize relaxation. Your mind and body will thank you!